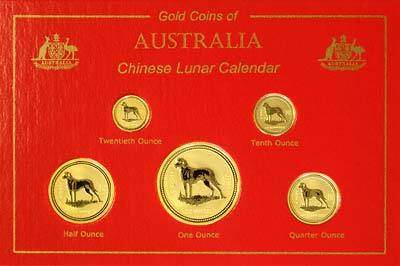 The 2006 lunar year of the dog will run from Jan 29, 2006 to Feb 17, 2007. 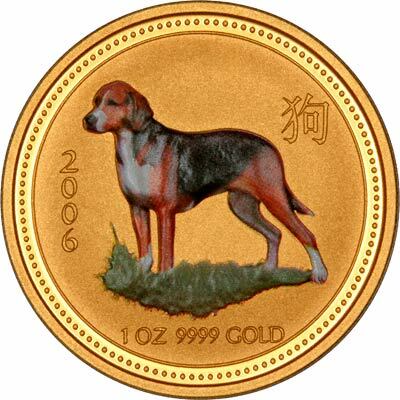 The canine breed used for the model of this year's gold year of the dog coins is the beagle. Whilst we thought a golden retriever may have been an obvious choice, we think beagles have had a bad year in the UK, with the government's ban on hunting with dogs many beagles will have been made redundant. Here's an easy way to keep a pack of gold beagles at home, with no mess, vet's bills or grooming. We think gold beagles will also make a great change from gold eagles. The silver series of bullion coins will feature the German Shepherd, popularly known as the Alsatian. We could have called this page "Year of the Beagle"